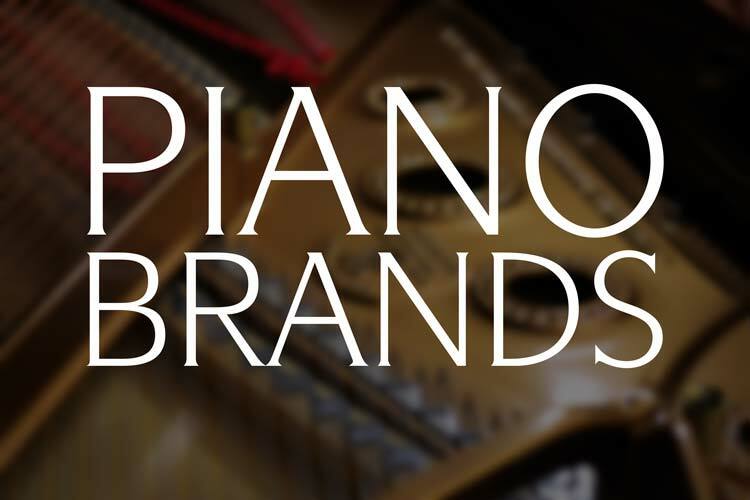 The Steinway & Sons Model D is the concert piano which all others are judged and compared against. Number 51257 was the first Model D to be completed on January 31st, 1884. Steinway Model D #53671 was built a short time later and was among the first of these legendary pianos to be built. Completed on July 21st, 1885, this New York built Concert Grand is one of the finest examples of ‘golden age’ piano making that we have ever seen. 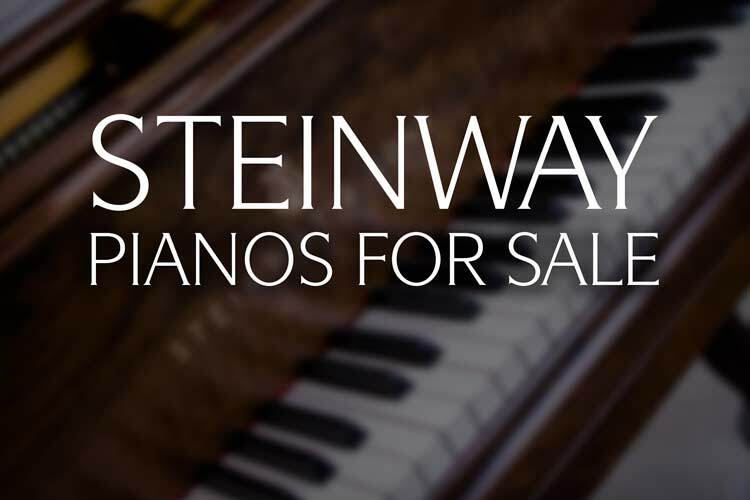 According to Steinway New York Factory records, this piano was sold to its first owner in the fall of 1918, so we are assuming this instrument was utilized as an early Concert & Artists instrument during the intervening years. The piano cabinet features a round arm design with double moldings accenting the case. During the period in which this piano was crafted, Brazilian Rosewood was still being utilized regularly on Steinway pianos. This piano boasts an unusually deep and rich cut of veneer with lighter streaks highlighting throughout. The piano sits on rare Empire style legs which were used very rarely and create an imposing yet graceful stance. The carved music desk and lyre compliment these modern, yet detailed legs. This piano was selected by us for a full rebuild after a number of years of neglect. Even though the piano had long ceased to properly function, we were confident that the piano still possessed the inherent qualities of a concert level instrument. A client specifically requested a piano of this caliber and we set about restoring Model D #53671 to its rightful status for them. A new solid spruce soundboard was installed along with a custom-fitted hard rock maple pinblock. The soundboard supporting rib positions were optimized to ensure the best tone. The cast iron plate was rebronzed and the copious amount of text was hand detailed. New blued tuning pins were installed along with the highest quality music wire and custom manufactured soft copper wound bass strings. A new Renner back action was installed along with new damper felts. The figured Brazilian Rosewood cabinet was refinished in a closed pore, hand rubbed lacquer and the nickel hardware was replated. The action was extensively rebuilt and a new custom manufactured keyset was crafted for the piano. New Steinway hammers, shanks and flanges along with new Renner wippens were installed. Expert action and tone regulation was conducted to ensure the finest response and a full, concert-level quality of tone. We spend many extra hours in this process to ensure that the piano does not just look like a fine instrument, but performs as one as well. The tone of this piano is lush and full and is fully on par with any more ‘modern’ concert grand. The bass roars with power yet the piano is capable of projecting the most intimate notes. At the request of the client, an advanced QRS PNOmation3 Player Piano System was installed. These systems are fully integrated into the piano and are controllable from any WiFi capable device. Our expert piano technicians have spent hours beyond the norm ensuring this instrument is of top concert quality. 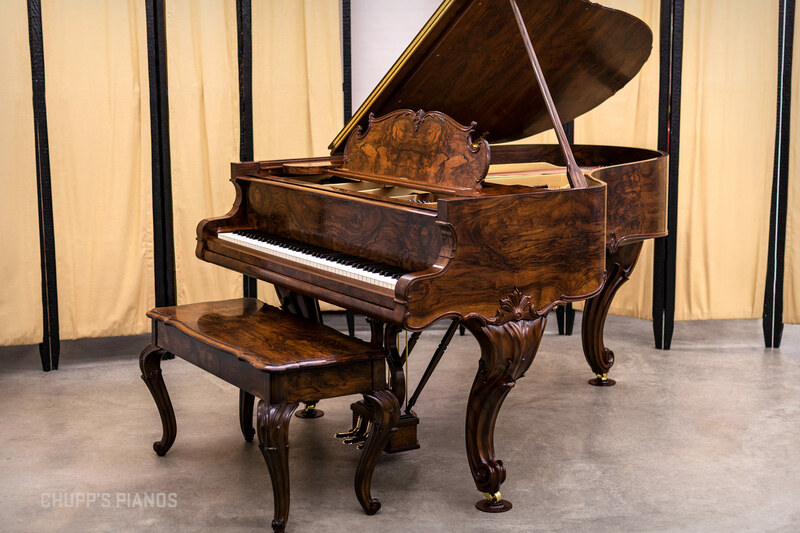 With a stunning figured rosewood cabinet and a rich tonal quality, this Steinway Model D is a wonderful example of historic Steinway & Sons Factory craftsmanship. During the pre-WWII era, quality was high and craftsmen had access to the finest cabinet woods and other materials. The level of quality was incredible during this golden age of the piano. This tradition is one we have dedicated ourselves to continuing here at Chupp’s Piano Service. 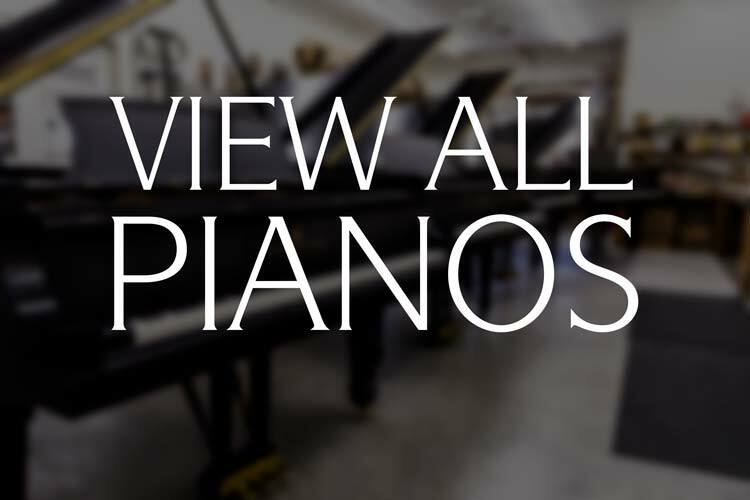 Our showroom and rebuilding facility features a large selection of fully restored pianos for sale. 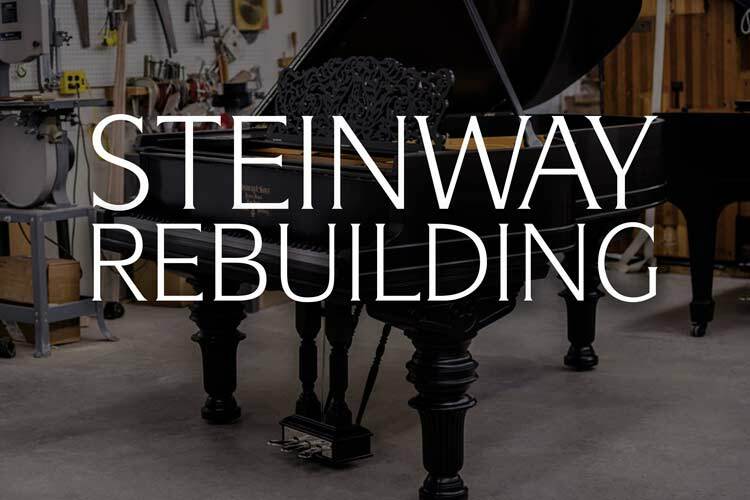 For over four decades our specialty has been the refurbishing, restoration and repair of vintage Steinway & Sons grand pianos. 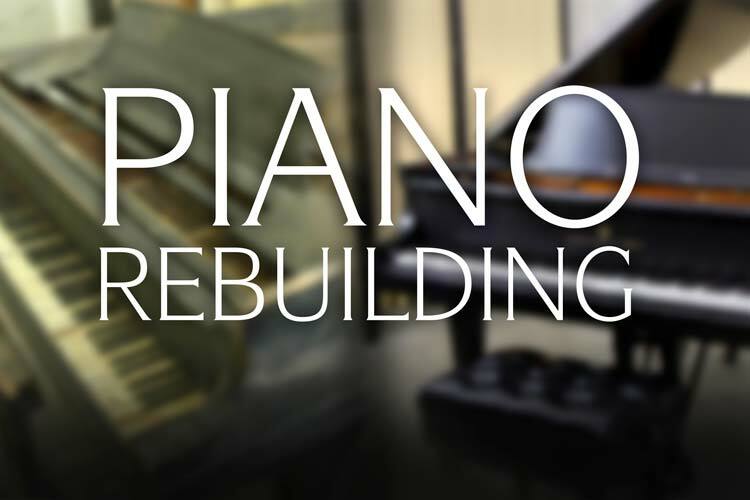 The Art of Piano Rebuilding is truly art you can feel! Error: Error validating access token: Session has expired on Thursday, 10-Jan-19 19:00:02 PST. The current time is Thursday, 25-Apr-19 00:04:51 PDT.